SOURCE AUDIO has arrived ! 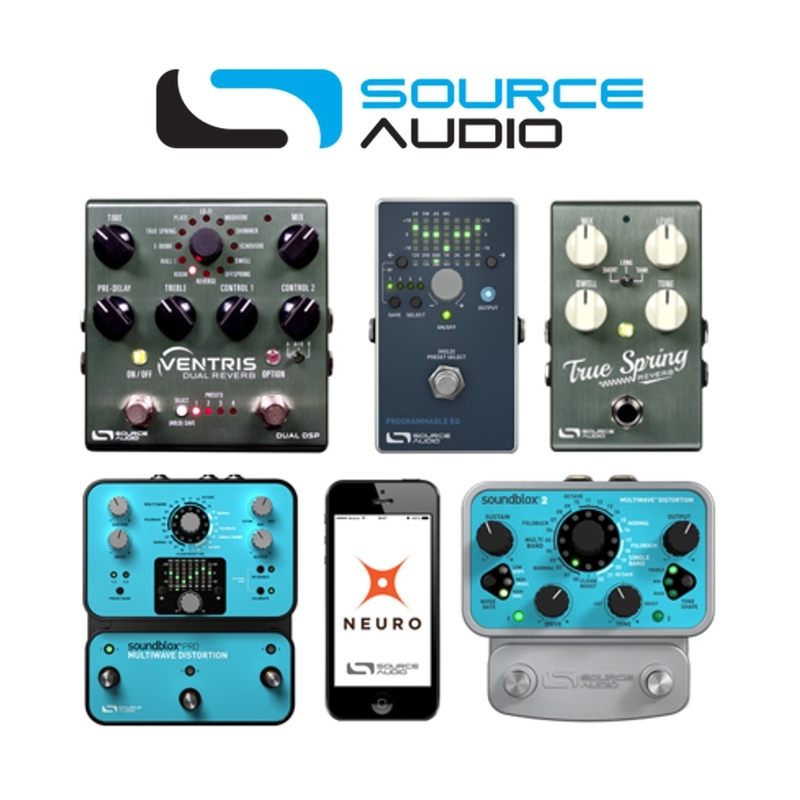 We are pleased to announce our appointment as the exclusive distributor of SOURCE AUDIO guitar effects pedals. Source Audio was founded in 2005 by former executives of Analog Devices, Inc., Thomas H, Lee Partners, and Kurzweil, Their mission is to bring innovation to the audio effects world through the application of cutting edge sensor, networking and signal processing technology. In 2006, Source Audio released its flagship product, the Hot Hand Motion-Sensing Ring. Since that time, Source Audio‘s delay, reverb, distortion, filter, modulation, equalization, and Hot Hand products have found their way onto the stages and recordings of David Gilmour, U2, David Bowie, John Mayer, Aerosmith, Phish, King Crimson, My Morning Jacket, The Cure, and Victor Wooten to name a few. Source Audio was also recognized through multiple product and innovation awards from Premier Guitar, Guitar Player, Sound On Sound, Guitar World, Bass Player, and Electronic Musician Magazines. For more information on Source Audio’s products, please visit the source audio website. The RØDECaster PRO is coming !